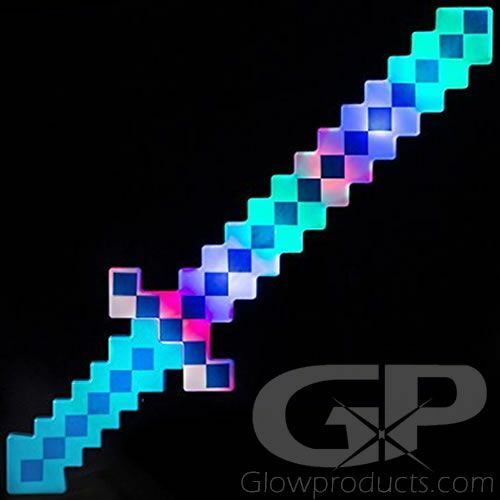 - Glow in the Dark 8 Bit Pixel Sword! 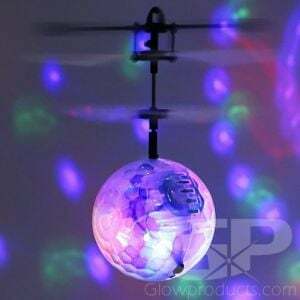 - The Entire 8 Bit Blade Lights Up! - Sword Swiinging Battle Sound Effects! - Birthdays! Glow Parties! Costumes! Adventure! Sold in quantities of 5. 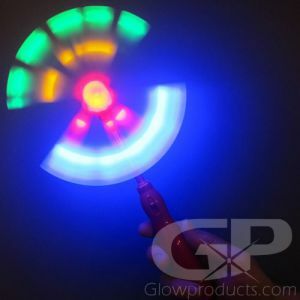 You will receive 2 Green, 2 Red and 1 Blue LED Pixel Sword. Price shown is per piece. Behold the epic power of the Light up 8 Bit Pixel Sword with Sound! Create your own 8 bit adventures in the backyard, in the basement, out in the forest or at your next minecraft themed birthday party, Halloween extravaganza or costume party! 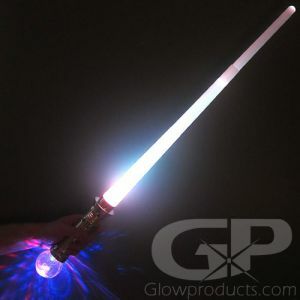 This big glow in the dark pixel sword is two feet long and lights up along the entire blade with poweful LED lights at the push of a button. The creepers are not going to know what hit them! Especially when you unload the pixel sword's bombastic sound effects on their sorry hides. So pick up the Glow in the Dark 8 bit Pixel Sword if you dare. Adventure Awaits! 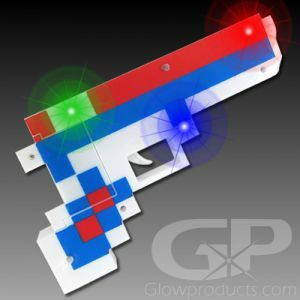 Instructions: The on/off swich for the glow in the dark pixel sword is located on the handle underneath the cross guard. Push the button to activate both the sound and lights. 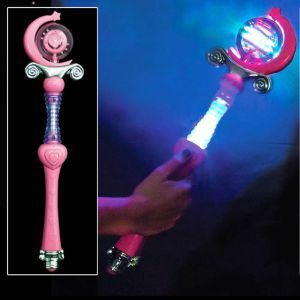 Requires 3 pieces AAA batteries - Unscrew the battery compartment on the hilt of the LED 8 bit sword and slide it open. Put in the batteries and slide the cover back on. Note: Sold in sets of 5. You will receive 2 Green, 2 Red and 1 Blue LED Pixel Swords. Price shown is per piece.